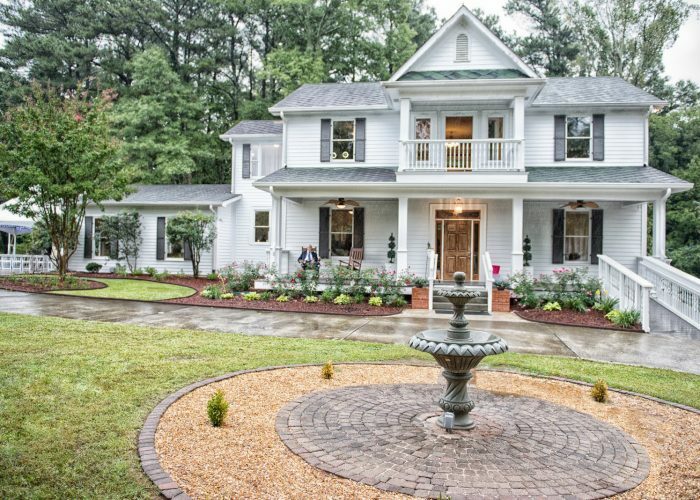 The Grande located in Kennesaw, GA, is a beautiful Victorian-style house surrounded by 2.5 acres of landscaped grounds. 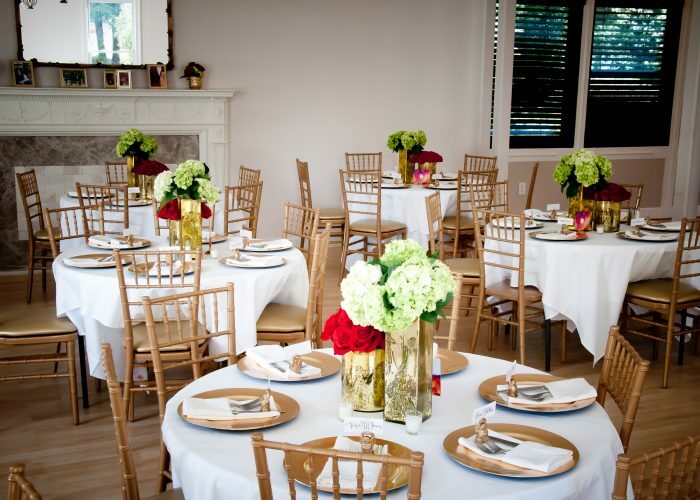 Offering lush and romantic outside garden weddings and inside receptions characterized by rustic elegance, The Grande is an all-inclusive wedding venue. On the main level, there is a big, open room with several seating areas. There is room in the entry for gifts and a guest sign-in book. A covered balcony overlooks a peaceful garden. You will love the warmth and beauty from the time you step inside the house. 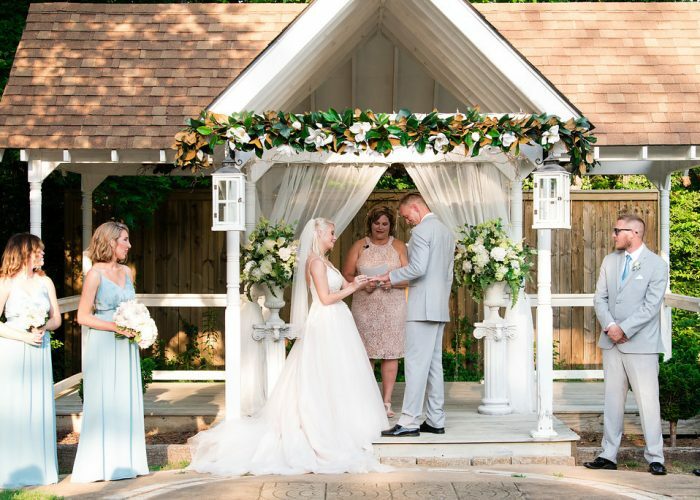 Outside there is a beautiful Cedar pavilion right next to a open gazebo with a decorative path, on either side of which there are seating plots that offer beauty and comfort to your outdoor Wedding. 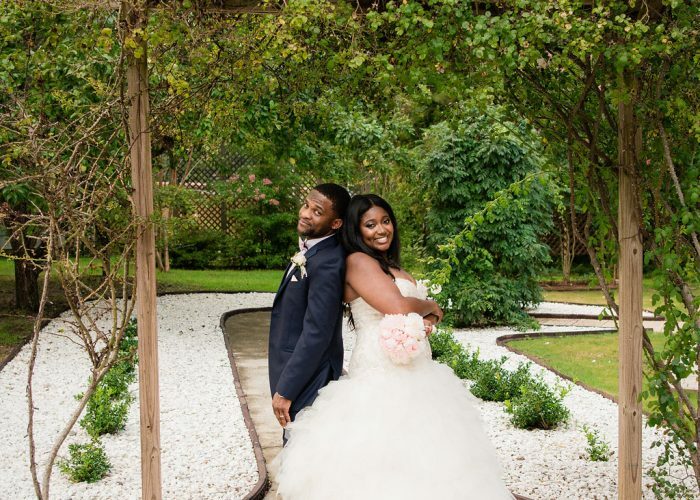 There are great photo opportunities to capture your magical wedding moments including a beautiful swing with a cedar frame and a fountain. What sets The Grande in Kennesaw apart from other venues is simple. Our all-inclusive package pricing is just that. There are no hidden fees, and all taxes and gratuities are included. 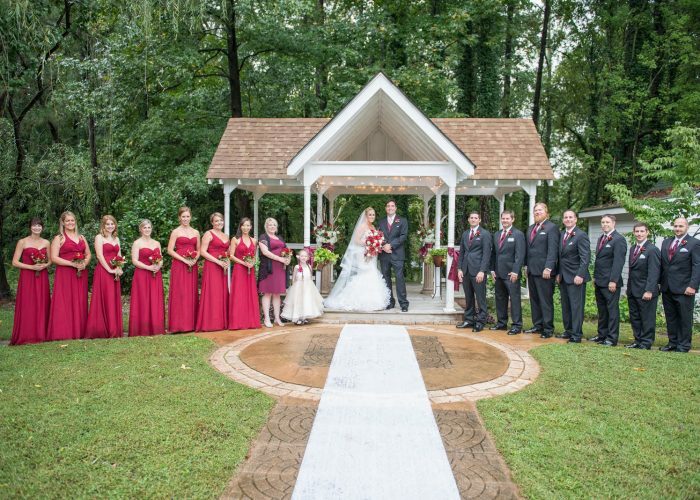 The first wedding photo above of the Grande’s exterior is by David Scruggs Photography. The second and fifth wedding photos above are by Jennifer G Mills Photography.